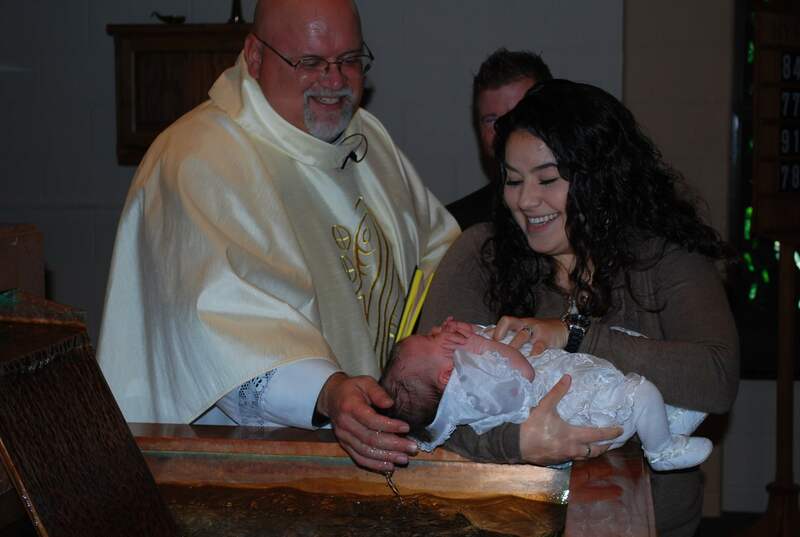 Through the waters of Baptism, your child is welcomed into the Christian community and into the community of St. Joseph Parish. We congratulate you and your child and offer this information to help you prepare for the celebration of this Sacrament. Call the church office to arrange for your child’s baptism. New parents attend a Baptism class to prepare for the ceremony. You may schedule the class before your child’s birth. Baptisms are not held during Lent and Advent.